money market funds • Max Blog • Max. your best interest. With interest rates remaining low, many investors wonder how to evaluate the safety of various places to keep cash. 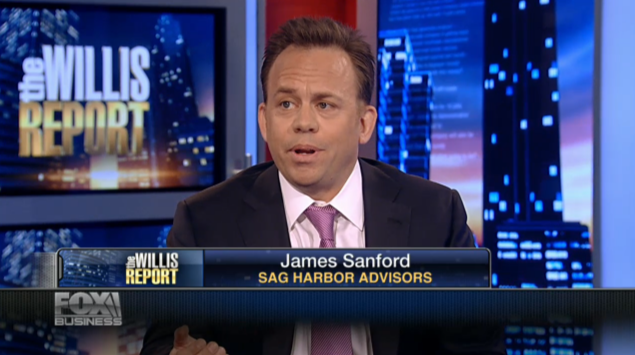 Max invited financial advisor James Sanford of Sag Harbor Advisors, a performance-fee-based wealth manager, to talk about how best to think about choices for cash in a portfolio. With the Federal Reserve now expected to wait at least until the December meeting to end 8 years of zero interest rates, and some strategists putting the first lift-off out to March or June of 2016, it’s time to revisit where to put your cash when cash is king. Two-year Treasury notes are now down to 63 basis points. Emerging market weakness in China and commodity-centric nations led to a 12% decline in the S&P 500 from July through September 28, and a surge in the Volatility Index (VIX) to over 40. If you’re with me in the camp to move a substantial amount of the portfolio to cash after the Central-Bank-fueled reversal rally of more than 10% since October 1, it’s important to understand where your broker or advisor places your cash, which is called the “cash sweep.” If swept into money market funds, you’re not in cash at all, but merely a basket of short-term risky securities that earn a paltry yield of zero to 15 basis points. First, these underlying securities contain corporate credit risk of default like any other corporate bond. Second, there’s no legal guarantee of a “par put” from the manager. Money market funds routinely maintain a fixed $1.00 par value, rather than mark to market, a convenient shell-game trick which completely hides the underlying volatility of the basket of securities in the portfolio, convincing the holder he owns a “cash equivalent.” What he actually owns is a portfolio of risky corporate senior unsecured-debt obligations, which despite their 7, 10, or 90-day maturity, are equal in recovery and default risk to corporate long bonds maturing 10 and 30 years from now. Some money market funds hold tax-free municipal bonds. These are commonly considered “risk free,” which is absolutely not the case, as investors learned the hard way in Detroit, several cities in California and Rhode Island, and, soon, Puerto Rico. Usually the portfolio in a money market fund doesn’t move at all in price, due to its very short duration. That’s until a shock event hits one of the securities, which was the case with the Lehman Brothers default. Lehman, opened up Monday morning, September 15, 2008, at a bid-offer of $10 to 12 cents on the dollar. Suddenly this “cash” equivalent lost 90 cents on the dollar. Roughly 35 to 40% of all investment company assets are comprised of money market funds, with 80% of corporations using money market funds to manage their cash balances, and 20% of household cash balances comprised of money market funds, according to a 2009 SEC report. There is an investor perception that money market funds are insured by the manager due to the “never break the buck” concept. In fact, there is no legal requirement or guarantee that money managers must “never break the buck” or shield investors from losses. Many managers in 2008 compensated investors for losses in money market funds, because it was good for business and they had the capital. Those without the capital, such as the Reserve Fund, did not. Nobody legally had to. So what advice would I give investors, as a financial advisor? Keep your cash in short-term T-bills? But there is very little if any interest. Take duration risk on longer dated Treasuries? No. The answer is more obvious then we think: it’s your common bank savings account. Investors can earn up to 1.1% on internet-only savings accounts that are 100% FDIC guaranteed, a guarantee as solid as U.S. Treasury bonds, yet one that offers overnight liquidity and no duration risk. In fact, investors would have to go all the way to the three-year note to earn a yield equal to the highest available online savings rates of 1.1%. The counterparty risk of the bank offering the rate is immaterial. As long as it’s FDIC guaranteed, even in the event of an FDIC bank seizure, accounts holders with $250,000 or less, or $500,000 in a joint account for couples, will have unrestricted access to their cash. If the FDIC can’t honor its agreement, all investments will be set to zero. That would be the equivalent of a U.S. government default. Advisors often don’t like using a savings account as the cash sweep option, as they can’t control the assets. At Sag Harbor Advisors, our clients’ advisor accounts at our custodian are linked via the ACH system to any bank account of their choice, and clients sign over authorization to draw specified funds back to the advisor account should we see market opportunities. For cash holdings that are well north of the FDIC limits, MaxMyInterest is the only way to efficiently manage funds. Ask your advisor where your cash sweep is, what it’s yielding, and you might find it’s not really “cash” at all. New Money Market Fund Rules: How will they affect investors? When investors think about their portfolios, they often picture several buckets: stocks, bonds, real estate, alternatives, commodities and cash. This “cash” portion includes traditional bank deposits, but also many other instruments deemed “cash equivalents,” including short term CDs and investments in money market funds. The SEC announced on July 23 new regulations governing how investors can get their money out of money market funds in the event of financial-markets turmoil. The rules allow some funds to put up barriers to redemptions under certain circumstances, according to The New York Times. That means investors could potentially lose access to their cash when they need it most. What this means, in practice, is that investors should treat money market funds differently from cash as they think about liquidity. Before these new rules, investors could typically redeem their money-market fund shares at the end of each day. But if — in the event of market turmoil — it’s not possible to access these funds right away, that money is suddenly less available to the investor, and thus less valuable. It’s often precisely when markets are most troubled that cash becomes most valuable. Ask any investor who had excess cash lying around and bought the S&P 500 index when it fell below 700; today, the S&P 500 index stands just shy of 2000. There are plenty of situations where an investor might choose to lock up money to get a more favorable return. CDs usually promise higher rates for a longer period. Private equity investments require much longer lock-ups, typically up to 12 years. Money market funds are a different case. At current interest rates, these investments offer little to no return. Faced with these new regulations, investors may wonder why they must bear the risk of losing liquidity without being compensated by additional interest. How to get around this problem? 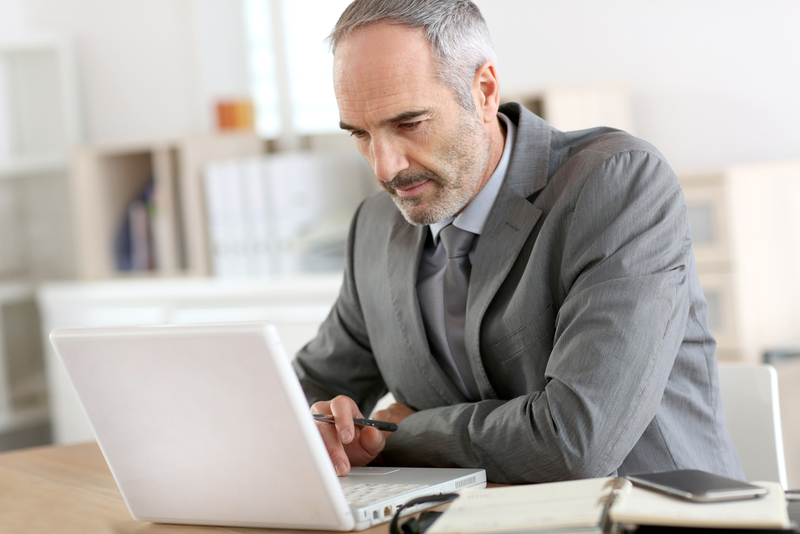 For investors who are looking to keep their money liquid, available, and FDIC-insured, savings accounts at leading online banks are a smart choice. These savings accounts can pay up to 0.90%, above the 0.11% average that U.S. savings accounts as a whole pay in interest and far more than the 0.01% offered by many money market funds at present. For those investors compelled by the opportunity to earn higher returns on FDIC-insured bank deposits, MaxMyInterest offers a convenient platform to automatically manage multiple savings accounts to achieve greater FDIC protection and maximize interest income.